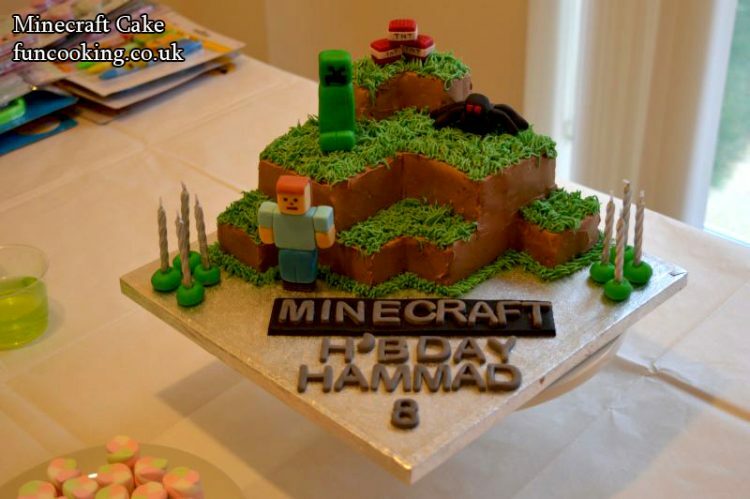 I made this cake for my Son’s 8th birthday. Again chocolate cake his favorite. I tried to keep it simple and easy. 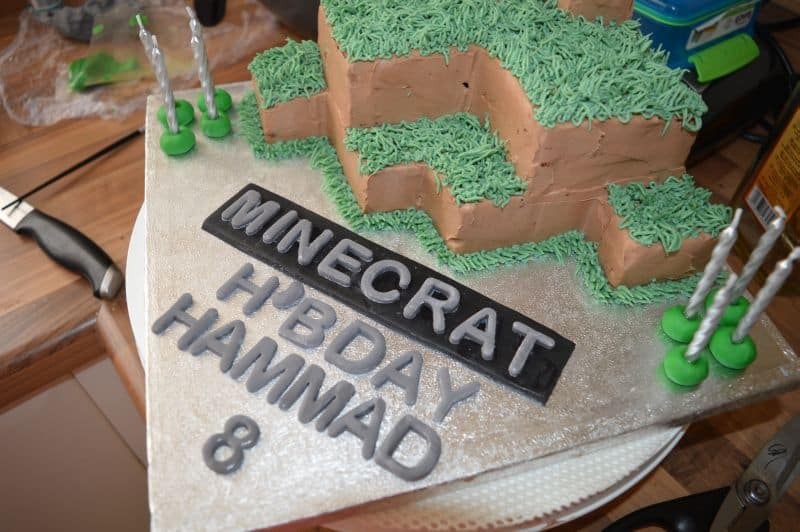 That is why I used the simplest cake and simplest icing for this cake. Made some sugar characters and its ready 🙂 I used fresh cream icing for this you can also use Chocolate buttercream icing if you don’t want to keep it in fridge. I used 12 inch square double thickness board for this cake. So Let’s have a look how I made this. 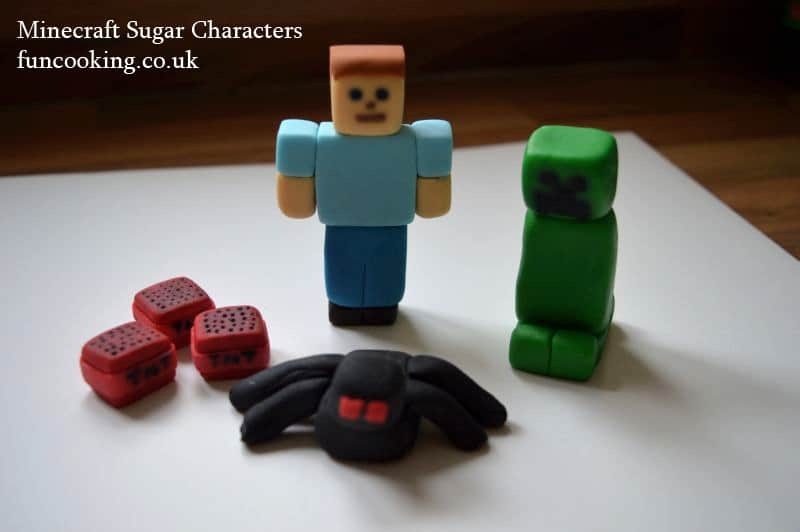 First of all I made these minecraft sugar characters and let them dry overnight.Click here to see how I made these. 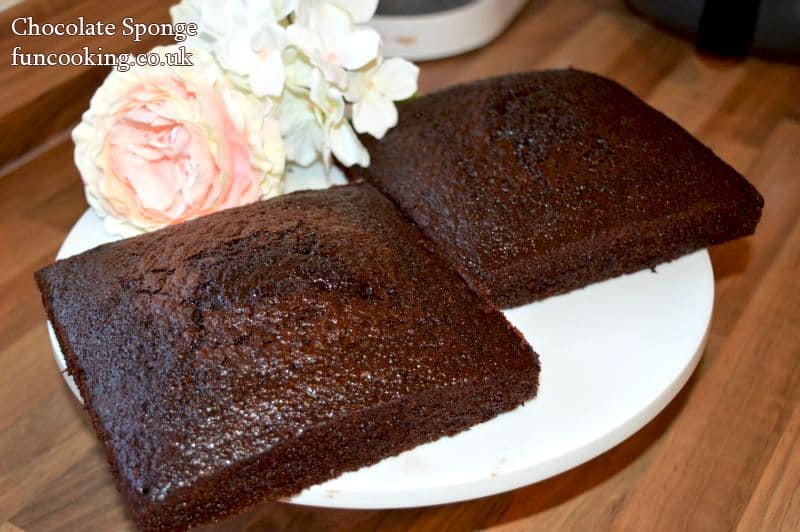 Now for chocolate sponge I made these 6 inch square cakes. Click HERE to see the recipe. 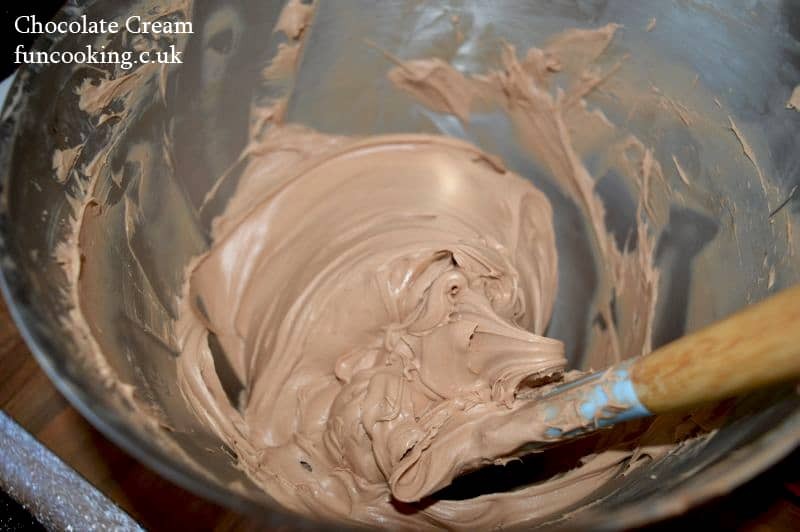 Now for filling and icing I made this chocolate cream.Click HERE for recipe. For this green grass piping I used wilton grass tip #47 and I used my swiss meringue buttercream recipe and colour that green.Because I had made another cake a day before that used swiss meringue cream. 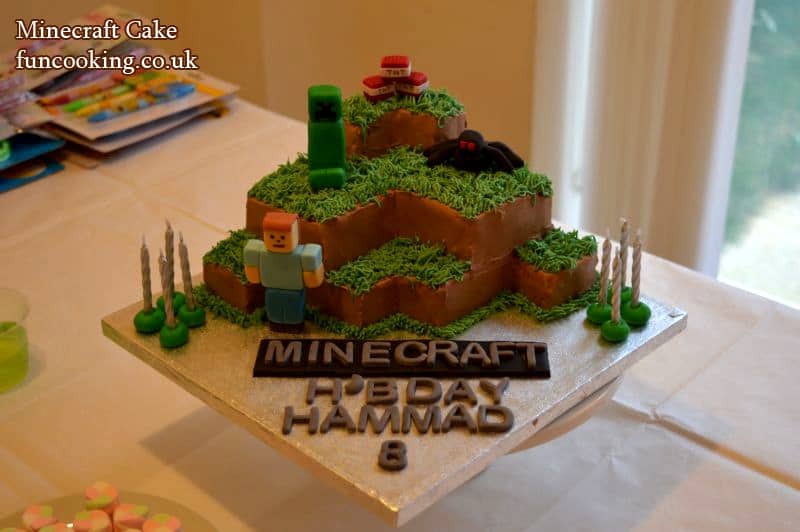 You can also use ready made buttercream. Click Here for recipe. 1. First of all level the cakes. Cut any domes the have. 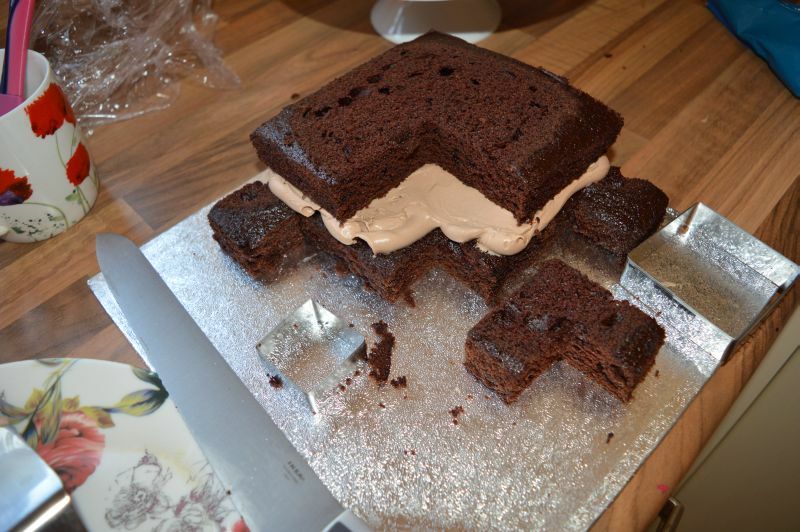 Then I used 2 square cookie cutters to cut the cake like shown in the picture. You can also use knife. 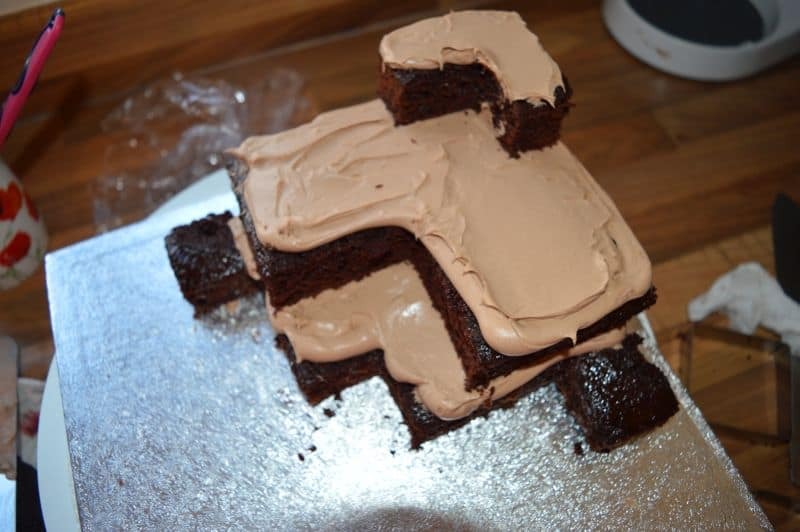 Cut a small square from 1 cake. 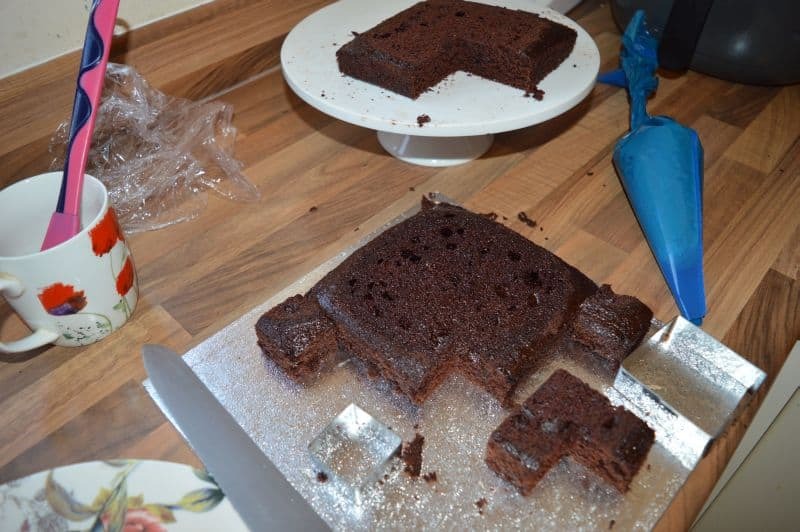 and cut a big square from other cake. also cut a small square from the big square you cut. Now keep the small cut square cake on the board. layer some icing. Keep the other layer on it from which you had cut the big square. Keep 2 small squares on sides. 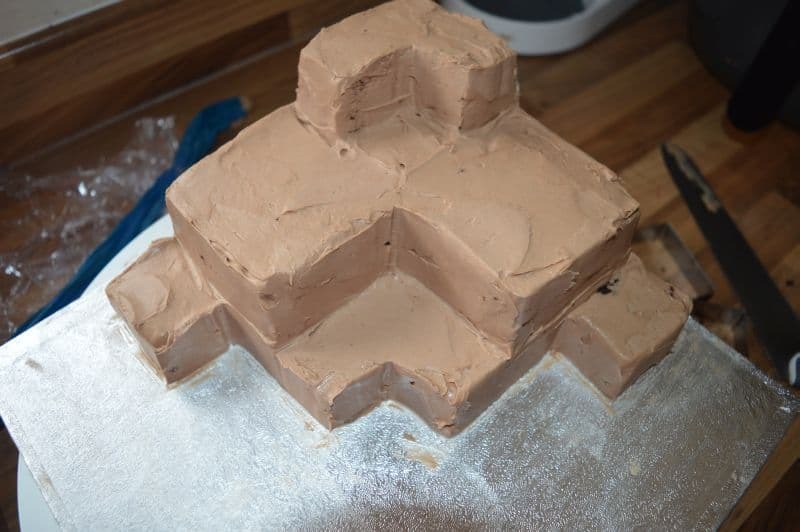 Now keep the remaining cake on top with icing. 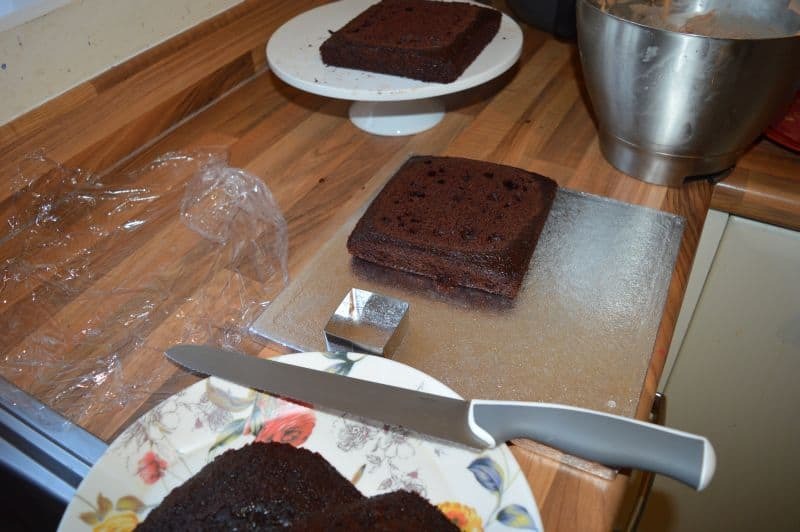 Cover the whole cake with icing and smooth it with spatula. 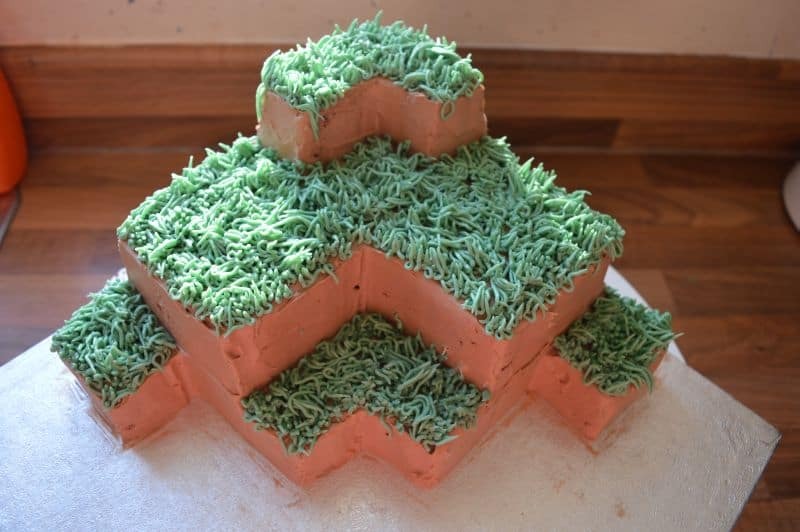 Now pipe the grass with grass tip and buttercream. Clean the board with lightly wet paper towel and stick these alphabets and candles on it using some edible glue. You can also use water to stick these. 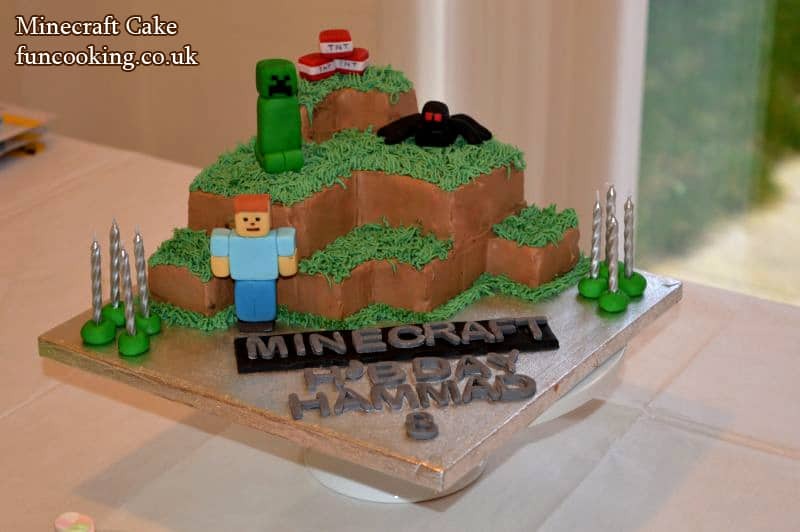 I forgot to put ‘F’ in minecraft word haha…. I added it later after my husband pointed it out.